State/District: New Mexico, Roosevelt Co.
After detonations were heard and smoky trails seen in the sky, a shower of meteorites landed near the town Portales, New Mexico; 53 pieces have been collected, with a total of 71.4kg; the largest weighing 17.0kg, 16.5kg, and at least nine others over 1kg; a 530g fragment went through the roof of Gayle Newberry's barn and embedded itself in a wall, indicating a trajectory W to E; the elliptical strewn field is about 7.7x2 km, trending N60-65°E, although recent reports may extend this somewhat; an H6 chondrite showing an unusual high number of massive, metal-rich shock veins; some pieces are even dominated by the metal, which displays a fine Widmanstätten structure on etched surfaces (avg. bandwidth 0.32 mm), J.N.Grossman, Met. Bull. 83, MAPS, 1999, 34, p.A169. Cosmogenic radionuclide data, G.Bonino et al., MAPS, 1999, 34, p.A14 (abs.). Strewn field characteristics, H.Povenmire and I.Wilson, MAPS, 1999, 34, p.A93 (abs.). Study of microstructure of metal veins, B.Sepp and A.Bischoff, MAPS, 1999, 34, p.A106 (abs.). Detailed study, petrography, classification, physical properties, and Ni concentration profiles of taenite/kamacite lamellae, D.A.Kring et al., MAPS, 1999, 34, p.663. Metallographic study of metal veins and Ar-Ar dating, L.J.Pinault et al., Papers 24th Symp. Ant. Met., NIPR Tokyo, 1999, p.157 (abs.). Mineralogy and origin of metal veins, D.A.Kring et al., LPSC, 1999, 30, abs. #1618. Cosmogenic radionuclide data, G.Bonino et al., LPSC, 1999, 30, abs. #1355. Re-Os and Pd-Ag isotopic systematics, J.H.Chen et al., LPSC, 1999, 30, abs. #1472. Metallographic cooling rate, A.Ruzicka, LPSC, 1999, 30, abs. #1616. 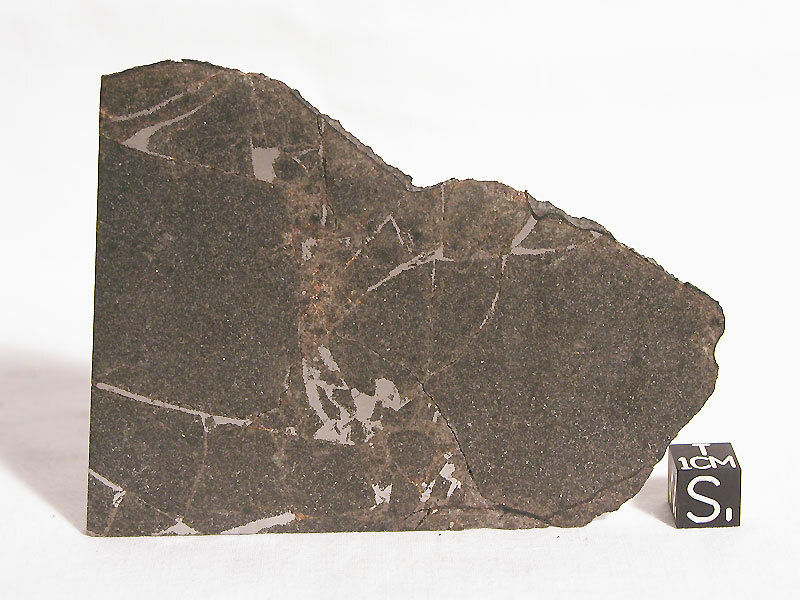 REE abundance pattern; related to Netschaëvo IIE iron and H-group chondrites, A.Ruzicka, LPSC, 1999, 30, abs. #1645. Recovery locations of individual fragments, J.F.McHone et al., LPSC, 1999, 30, abs. #1964. Metal-troilite distribution; modal abundances; formation event, L.J.Pinault et al., LPSC, 1999, 30, abs. #2048. Fall circumstances, H.Povenmire and I.S.Wilson, LPSC, 1999, 30, abs. #1071. Mineralogical study of clasts and metal veins; oxygen isotopic composition, A.E.Rubin and F.Ulff-Möller, LPSC, 1999, 30, abs. #1125. Comparative metal and silicate chronology, J.H.Chen et al., LPSC, 2000, 31, abs. #1507. Chlorine abundance, D.H.Garrison et al., MAPS, 2000, 35, p.419. Cosmogenic radionuclides and nuclear tracks, G.Bonino, MAPS, 2000, 35, p.A31 (abs.). Metallographic cooling rates; thermal history, H.Haack et al., MAPS, 2000, 35, p.A67 (abs.). Chemical and modal composition; contains large graphite nodule, A.Ruzicka et al., MAPS, 2000, 35, p.A139 (abs.). 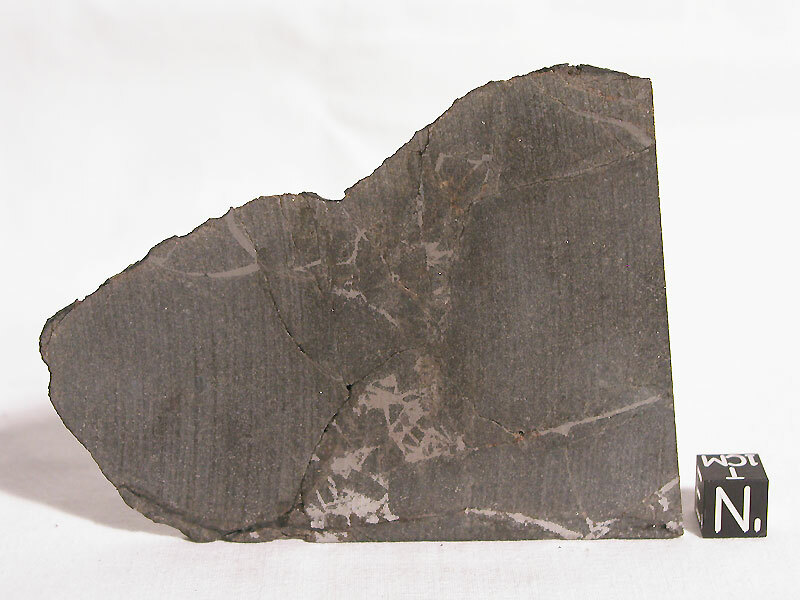 Description, size and texture of graphite nodule, A.Ruzicka et al., MAPS, 2000, 35, p.A140 (abs.). Detailed study of mineralogy and shock effects, A.E.Rubin et al., GCA, 2001, 65, p.323. TEM study of metal microstructure; low-temperature cooling rate calculation, B.Sepp et al., MAPS, 2001, 36, p.587; see also, LPSC, 2000, 31, abs. #1604. Spectral reflectance, D.T.Britt and D.A.Kring, LPSC, 2001, 32, abs. #1475. Ar-Ar dating and space exposure ages, D.H.Garrison and D.D.Bogard, LPSC, 2001, 32, abs. #1137. Nitrogen isotopic composition of metal and chondritic material, K.J.Mathew et al., MAPS, 2001, 36, p.A126 (abs). REE abundances in minerals; Sm-Nd dating, C.Floss et al., LPSC, 2002, 33, abs. #1084. Rb-Sr and Sm-Nd dating, D.A.Papanastassiou et al., LPSC, 2002, 33, abs. #1826. Trace element abundances, A.Ruzicka and M.Killgore, LPSC, 2002, 33, abs. #1918. Ru isotopic composition, J.H.Chen et al., LPSC, 2003, 34, abs. #1789. Magnetic susceptibility, P.Rochette et al., MAPS, 2003, 38, p.251. Metallography and composition of Fe-Ni metal, R.J.Reisener and J.I.Goldstein, MAPS, 2003, 38, p.1679.